Tipping On Kilimanjaro | How Much To Tip Guides And Porters? Tipping On Kilimanjaro – How Much To Tip Guides And Porters? Please read this article in full and watch the videos to understand why tipping on Kilimanjaro is so important. Due to the growing popularity of trekking Mount Kilimanjaro, the mountain has in effect become a key component of the local economies in Moshi and Arusha. With this growing interest in trekking Kilimanjaro, local and international tour companies have proliferated and local residents in these towns have flocked to the mountain in desperate need for work. Unemployment is high in Tanzania and hence there is no shortage of people willing to do literally anything to earn a wage, albeit tiny. Over the past few years the Kilimanjaro National Parks Authority (KINAPA) have implemented regulations to improve the management of the mountain and conduct of tour operators; however, the market for porters and guides is still poorly regulated and open to exploitation. Because of this the minimum wage set by Kinapa is often not met by many of the local operators. Some pay as little as $2-$3 a day to their porters. Take a second to let that settle in. That’s less than the price of a Big Mac to carry around 20-30kg of your gear up a very high and rather dangerous mountain! In a perfect world porters and guides should be paid a mandatory wage that is strictly enforced and regulated. However this is not the case and therefore tipping on Kilimanjaro is customary and standard, but often very confusing in term of working out how much to give each support team member. Before we get into the detail we encourage you to take 10 minutes and watch this video. Before you begin your climb you will meet your guide and porters. Typically guides can speak good English, porters less so. Porters carry all your gear (excluding your day pack) and all the equipment you need on your climb (tents, cooking equipment, food, water etc.). Each porter carries up to 20kg on their back or head! Yes, 20kg. And usually another 5kg of their own kit in addition to this. Some tour operators limit the weight that porters carry to 15kg. Note: new regulations mean that guides and cooks are not allowed to carry any weight apart from their own gear. Porters race ahead of you and your guide to make sure they get to camp sites before you and have everything setup for your arrival (tent assembled, food ready etc.). The average ratio of support staff is 3 porters for every climber, 2 guides for every 4 climbers, cook and assistant guides vary depending on numbers. Tipping on Kilimanjaro – the breakdown looks like this. Note: numbers vary depending on the tour company you use. The best companies have a high guide to client ratio. Tipping on Kilimanjaro – when and who do you pay your tip to? Tips are usually paid at the end of your hike, after you have reached your final checkpoint and signed out with the authorities. It is customary to pay tips individually in separate envelopes, unless advised otherwise (some tour companies suggest you pay your lead guide who then re-distributes the money). Please check with your operator what their preferred practice is. Also, some operators suggest that you give your tips at the last meal on the mountain. Unless expressly asked to do this by your tour operator we suggest waiting to distribute tips at the end of your trek. Tipping amounts are as follows. These numbers are per group, not per climber. For a 6 day trek the total tipping value per group and climber would look as follows. We hope you now have more clarity about tipping on Kilimanjaro. Feel free to leave a comment below if you have any questions. We will respond within 24hours. 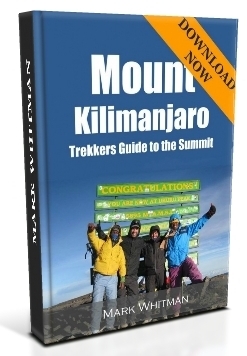 The NGO, Kilimanjaro Porters Assistance Project run by Karen Valenti (who does an incredible job) provides loads of useful information on the health and welfare of porters. 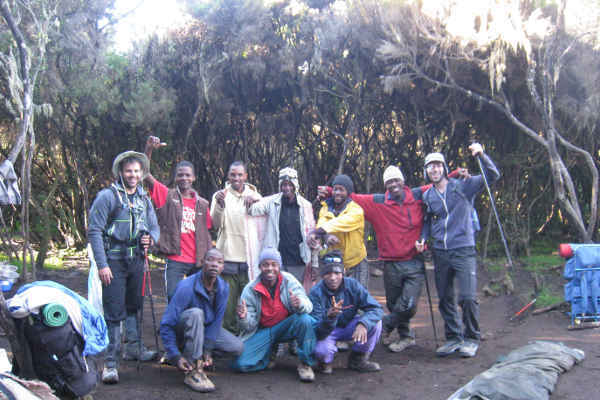 After your climb Kili, and after you reflect on the arduous life of the guides, assistant guides, porters, and cooks, you may want to help someone you met. 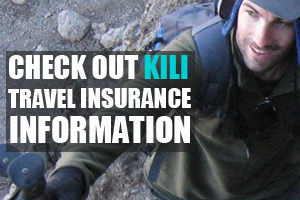 Kilimanjaro Guide Scholarship Foundation can assist you in arranging a scholarship. These scholarships range from 8 week “rainy season” courses to full year courses. 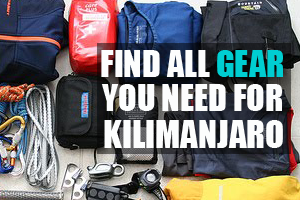 Click here to find a full Kilimanjaro equipment packing list. I am going on a 5 day route, and there is roughly 10/12 people in my group, how much will i be expected to tip? Thank you. Hi Aliyah, I would check with your tour operator, but it should be in the region of $150-$200. So from above, thats a minimum $60 a day per group per person helping (guides, cooks, porters etc) . In a 6 climber group thats $10 a day per climber per person helping. And also from above, for a 6 climber group there are 24-30 helpers, so thats $240-$300USD per climber per day. That about right? Hi JT, I think you are getting confused between per climber and per group. The cost would be approx. $240-$300 USD per group per day for a 6 climber group (i.e. $40-$50 per day per climber). The total cost for a 6 day trek per climber will come in around $250 (give a take a bit depending if you wanted to give more or less). Hope this helps. What denomination is preferred? More larger banknotes or smaller? Hi George, a combination is usually preferred. I wouldn’t go larger than $50. Cheers! If the new regulations say that the porters can only carry their own equipment and no extra weight, what is the point of having them? Or did I misunderstand what that meant? Hi Jason, I think you mis understood the regulations. Porters can carry up to 15 kg of climber gear / camping gear, along with 5kg of their own gear – so in total they carry 20kg. Hope this helps! Should we bring tip money in USD or is it best to tip them in local currency (Tsh)? US dollars is best! Cheers. Hi, thanks for the guide! Most helpful. Quick question, a couple friends who’ve climbed multiple times said their guides and porters prefered to recieve part of their tip in high end hiking gear that they would have difficulty acquiring in Tanzania. They implied that the guides and porters typically use very poor equipment themselves. Is it an acceptable practice to pay part of the tip in new high end gear? Hi Andrew, gifts of gear are always warmly received by the guides and porters, but at the end of the day, nothing beats hard cash. I recommend following KPAPs tipping guidance and then giving any gear that you don’t want away as something extra (perhaps to the guide and / or assistant guides). Hope this helps! I would like to book a private (1 person) 6-days, 5 nights Kilimanjaro climbing tour and should know how much cash do I need for the tips. I will have 1 guide, 2 cooks and 4 porters. Hi Piotr, as a solo climber on a 6-day route you should expect to pay about $250 in tips. All the best! I have just noticed on the website of the company organising my trip that “we have an agreement with the staff that everyone pays $250 for the porters and guides” (per person). There will be 25 of us in a group on a 5day trip. Do you think this is reasonable? Hi Anna, yeah, that sounds about right. All the best! What is your opinion on Chief’s Tours? Any knowledge whether there porters receive Fair and ethical treatment? If they are not a member of KPAP then almost certainly not. All the best Libor! Hey, we are a big group of about 40 people and it is all organised by a company, in the briefing they still said to consider the tips for porters, how much would an average tip be per climber? Hi Martin, the company you are trekking with should be able to advice you. As your group is so large it is very difficult to estimate how large your support crew will be. It will be in the region of 100 support crew. I suspect tips will come in at around $200 per person. Cheers! Hey, I am interested in a private tour for 2 climbers but am having troubles to understand why I need 1 assistant guide in addition to the main guide? In case one of us does not make it to the top, we would both return. Hi Marcus, the support crew sizes in this article are not gospel, some companies operate with different support crew structures and size. In terms of the assistant guide you may find some companies don’t have one for solo trekkers or a private group of 2. It is worth checking with your tour operator to get clarity on the support crew size and their tipping procedures. All the best! A group of my friends just got back from Kilimanjaro and had a bad experience. The group was 8 people and budgeted $300 tip each, $2,400 total after reading articles about the suggested level of tipping. However, the guide insisted that $600 should be paid and as we didn’t have much extra money, only around $100 or so, all of the money was snatched and left everyone feeling upset and sad. I don’t know if this has happened to any other groups and I hope that it hasn’t, but maybe if people could share experiences of what they have done in these situations could help people in the future. Hi John, sorry to hear about your experience. Unfortunately this happens all too often. The fault often lies with less than scrupulous tour operators who don’t pay their crews properly and therefore porters and guides almost entirely rely on tips. Good tour operators should provide you with clear tipping recommendations before your trek, these should be relatively close to the numbers quoted in this article (when in doubt it should be in the region of 10% of our trek cost). The best tour operators are KPAP members, they pay their staff well and follow all KPAP welfare guidelines. Thanks again for sharing! I want to make only one day trip to mandara I need one guide no need for cook or porter so how much it will cost me?